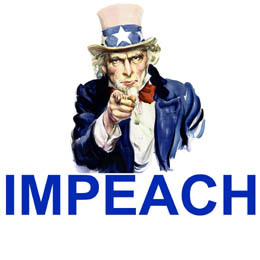 say Congressman John Olver disclosed that Congress is terrified that – if Bush or Cheney are impeached – they might bomb Iran, declare martial law and suspend the 2008 elections. If what Olver or Pipes say is true, then Bush and Cheney are literally terrorists. And Congress is literally negotiating with them by saying – in essence – “please don’t bomb Iran or declare martial law and suspend the elections, and we won’t impeach you”. I thought we didn’t negotiate with terrorists. say Congressman John Olver disclosed that Congress is terrified that — if Bush or Cheney are impeached — they might bomb Iran, declare martial law and suspend the 2008 elections.